The late Gerald Trottier has long been considered one of Ottawa’s most important artists. Now the artist’s family is donating 100 of his drawings, prints, and paintings to the Ottawa Art Gallery. It is the biggest donation of a single artist’s work in the history of the gallery. 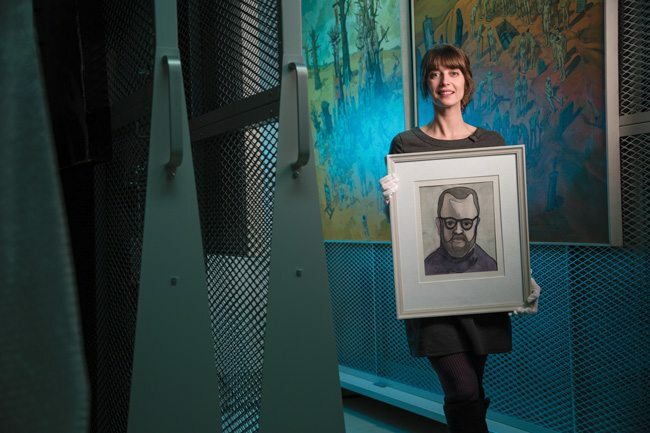 Catherine Sinclair, senior curator at the Ottawa Art Gallery, is stickhandling the deal. She was invited last year to select works stored by the family since the artist’s death in 2004. She selected a bundle. “I was like a kid in a candy store,” Sinclair says. Trottier’s legacy includes works at the National Gallery of Canada, liturgical appointments in several Ottawa churches, and a large mosaic mural in the H.M. Tory Building (the first art ever commissioned by Carleton University). And, as a teacher, Trottier influenced generations of young artists. The Ottawa Art Gallery will celebrate the acquisitions with an exhibition of some of the donated works, plus other Trottier works for sale, until June 14 at Arts Court.